Escape to a sanctuary of luxury, relax in an atmosphere of residential luxury and enjoy the sweeping views of the Red Sea, beautiful gardens and King Fahad Fountain from your private balcony. Park Hyatt Jeddah consists of 142 elegant guestrooms including 15 suites, designed by Gilles Quiffet and Patrice Hart, seamlessly blending European architecture with touches of Andalusian design. 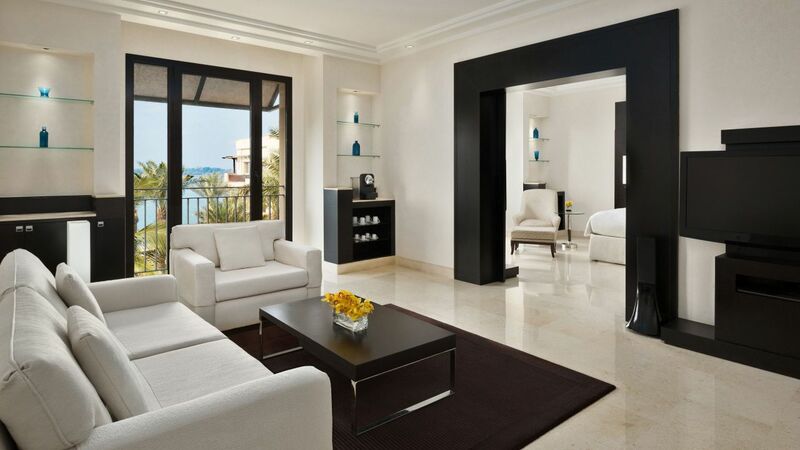 Sea view rooms are 40 square meters, while the remaining suites range from 80 up to 200 square meters. Our suites offer guests a home away from home atmosphere featuring a spacious living room, 42 inch flat screen TV and a private balcony. The majority of our guestrooms offer guests complimentary internet access, luxurious king sized beds, spacious work desk, oversized bathrooms with pampering amenities and 24 hour in-room dining in a contemporary atmosphere. 80-sq.-metre corner suite offers unrestricted panoramic views of the Red Sea, plus king bedroom and elegant five-fixture bath with rain shower and separate tub, living room and patio or balcony. Enjoy amenities that include two 42-inch flat-screen TVs, coffee- and tea-making facility, four multi-line phones and wired and high-speed Internet access. This is a standard suite. See World of Hyatt program terms for upgrade eligibility. Generously sized 120-sq.-metre corner suite with balcony and unrestricted panoramic Red Sea views has guests feeling like royalty. Arab-Andalusian influence highlights king bedroom and master bath with rain shower and separate tub, as well as living room with dining table, desk area and guest toilet. Enjoy amenities such as two 42-inch flat-screen TVs, DVD player and high-speed Internet access. This is a premium suite. See World of Hyatt program terms for upgrade eligibility. Luxurious 80-sq.-metre suite offers separate entrances into the living and bedroom, allowing for the utmost privacy and relaxation. Sleek decor is touched by Arab-Andalusian influences, complementing interiors that include king bed, master bath with rain shower and separate tub, plus living room with desk area and 42-inch flat-screen TV. French windows offer unrestricted views of the Red Sea. This is a standard suite. See World of Hyatt program terms for upgrade eligibility. Top-floor, 200-sq.-metre suite offers every possible amenity for comfort, convenience and luxury. Enjoy king bedroom with walk-in closets and five-fixture master bath with walk-in rain shower and separate tub, plus living, dining and work areas and guest toilet. 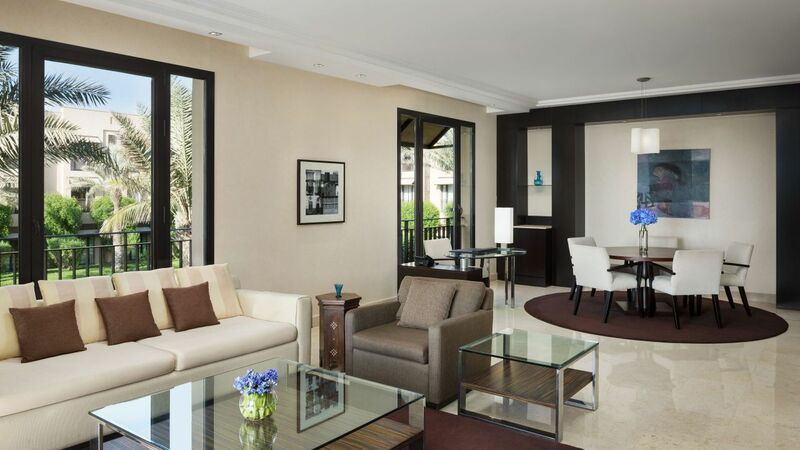 Elegant French doors lead to a balcony with unrestricted views of the Red Sea and famous King Fahd fountain. This is a premium suite. See World of Hyatt program terms for upgrade eligibility. 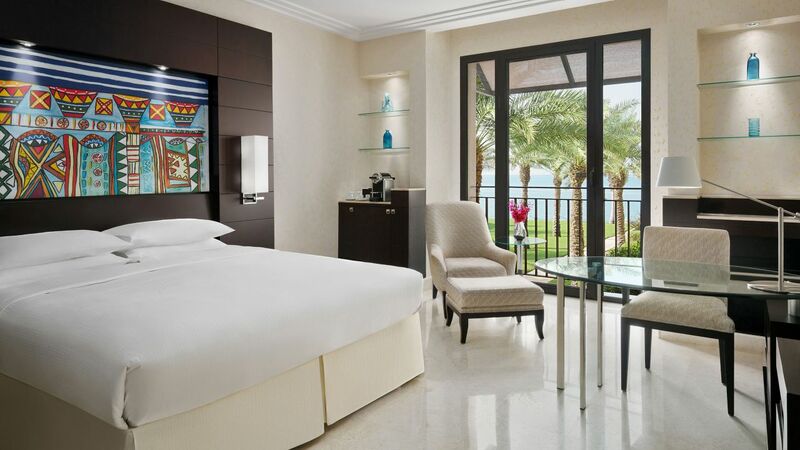 Enjoy unrestricted, stunning views of the Red Sea and famous King Fahd fountain from a spacious 40-sq.-metre room featuring plush king bed, desk area and deluxe bath with rain shower and separate tub. Sleek European style highlights Arab-Andalusian touches, providing a relaxing home away from home. Modern conveniences include four multi-line phones, 42-inch flat-screen TV and high-speed internet. Enjoy spacious 40-sq.-metre room featuring king-size bed with plush linens, desk area and five-fixture bath with rain shower and separate tub. Enjoy European style tinged with Arab-Andalusian influence, garden or city views, plus modern conveniences such as coffee- and tea-making facility, four multi-line phones, 42-inch flat-screen TV and high-speed Internet access. 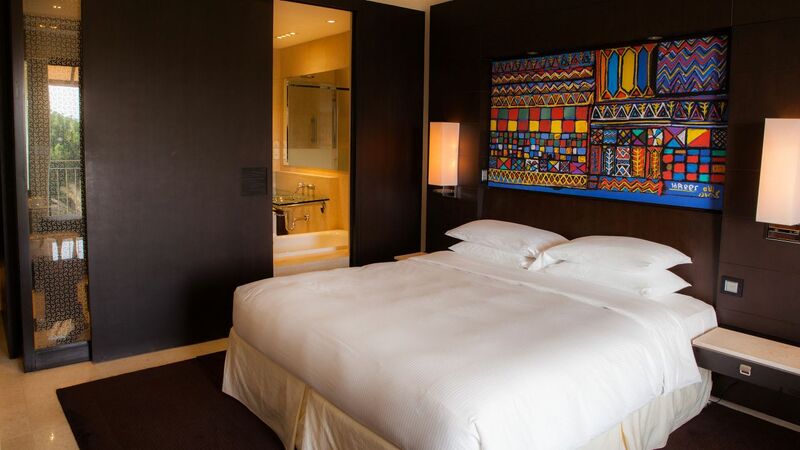 Enjoy panoramic views of the Red Sea and famous King Fahd fountain from a spacious 40-sq.-metre room featuring twin beds, desk area and deluxe bath with rain shower and separate tub. Sleek European style highlights Arab-Andalusian touches, providing a relaxing home away from home. Modern conveniences include four multi-line phones, 42-inch TV and high-speed Internet. 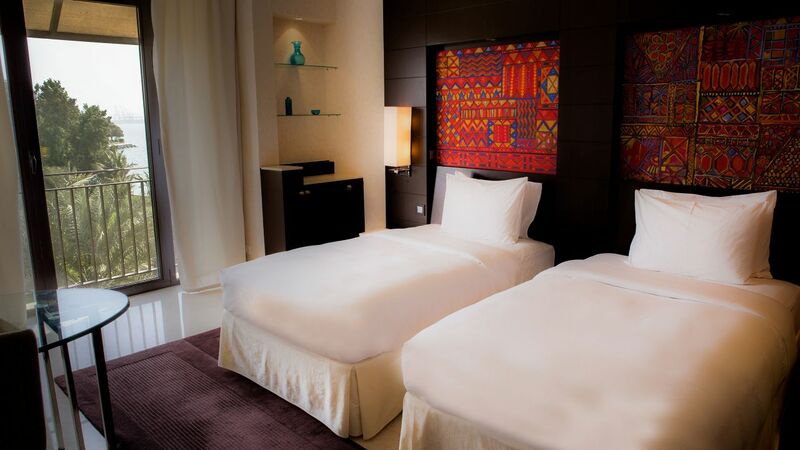 Enjoy spacious 40-sq.-metre room featuring two twin-size beds with plush linens, desk area and five-fixture bath with rain shower and separate tub. Enjoy European style tinged with Arab-Andalusian influence, garden or city views, plus modern conveniences such as coffee- and tea-making facility, four multi-line phones, 42-inch flat-screen TV and wired and high-speed Internet access.